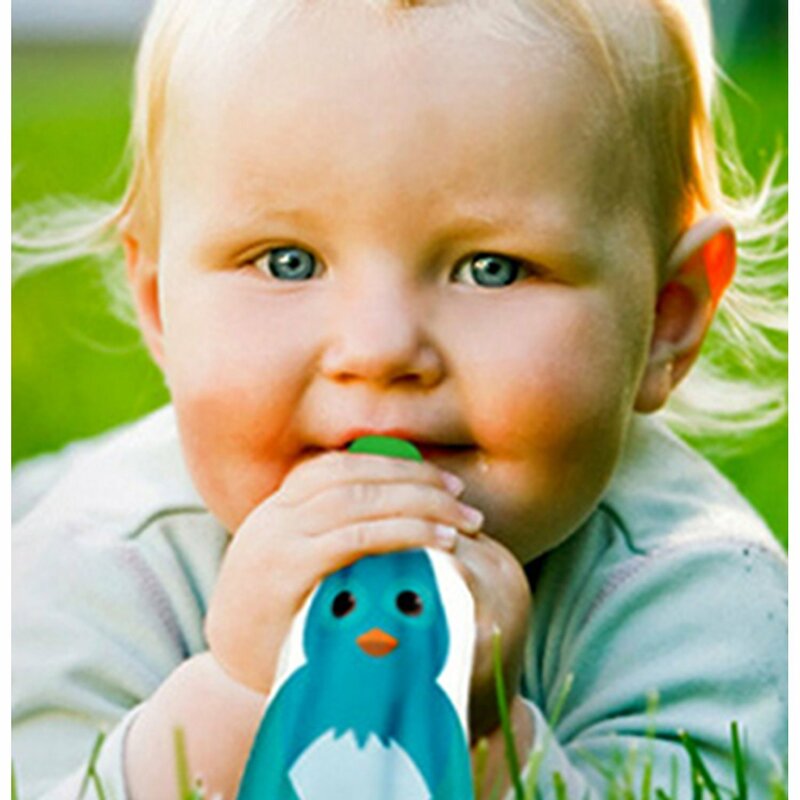 Best Reusable Food Pouch For Babies Add to Flipboard Magazine. My new grandson is already one year old and ready for one of theseReusable Food Pouch For Babies. He is eating table food and I have been encouraging my daughter to feed him things that she cooks instead of prepackaged baby food. Her biggest problem is traveling with it. It takes time to stop what you are doing and feed the baby, we all know that. 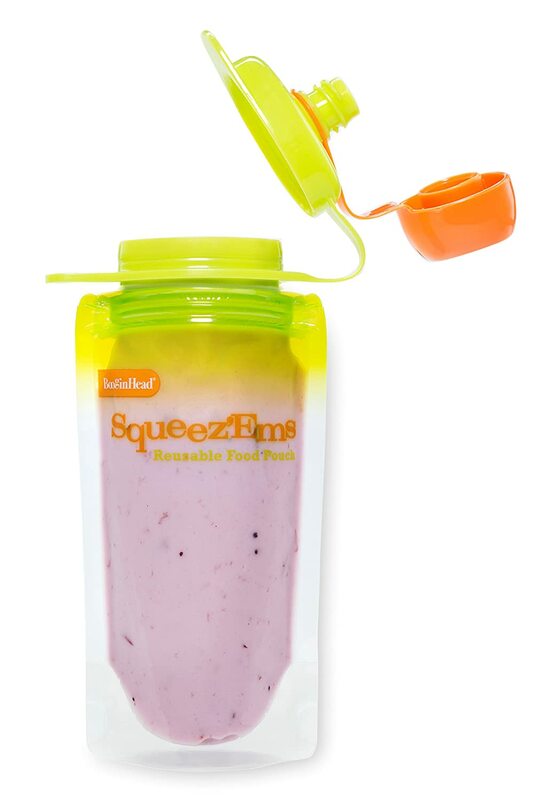 But someone got really smart and figured out a way to put baby food in a pouch. At the stores, that prepacked baby food is really convenient, but so expensive. 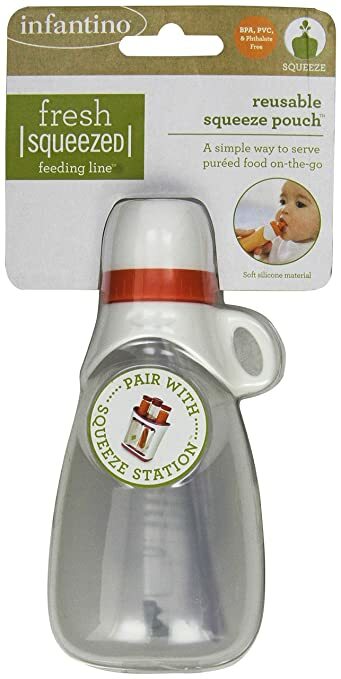 So I decided to search for a way that my daughter can have both good food for my grandson and a convenient way to feed him while traveling. 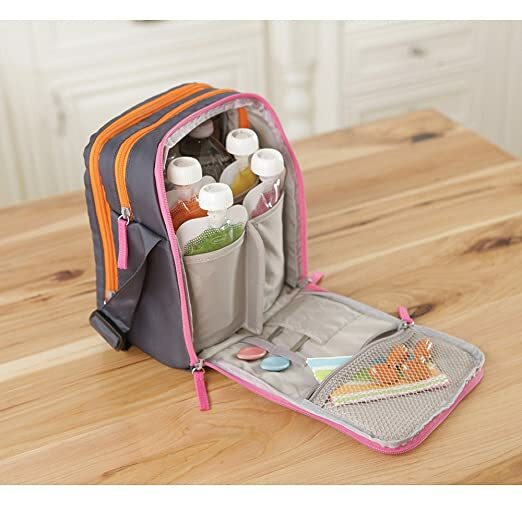 I really didn’t realize how many choices were out there for Reusable Food Pouch For Babies. 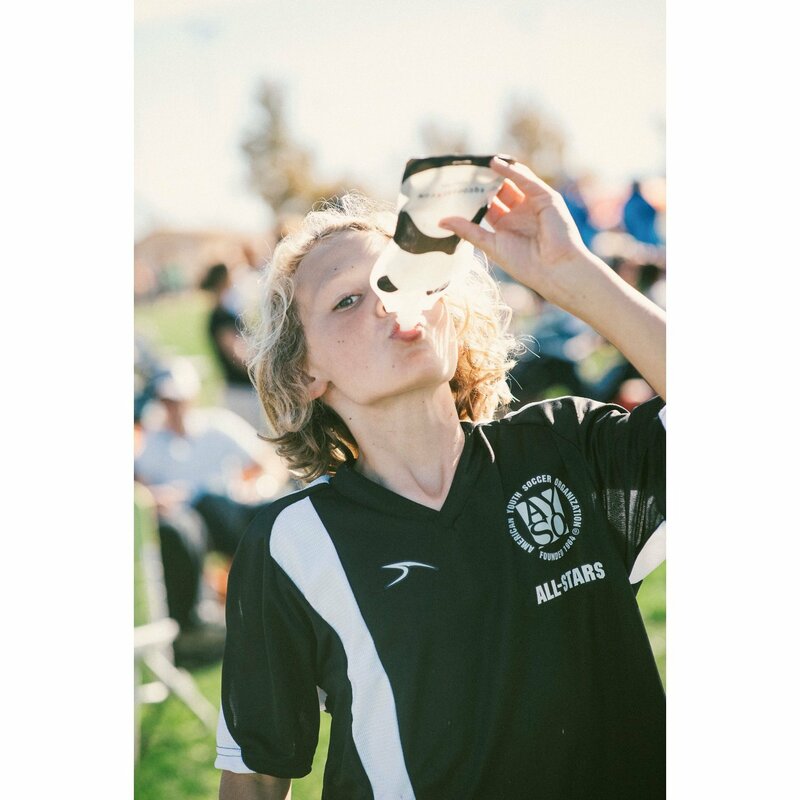 Some look better than others and some have better reviews. 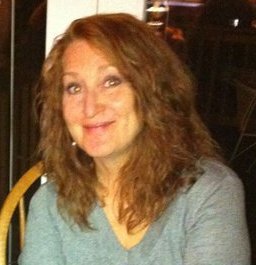 But I think we will try some out to see how well they work with my daughters schedule and my grandsons grabby hands. As we go through this process I will update you on how it is going, but here are the ones that we will be trying. 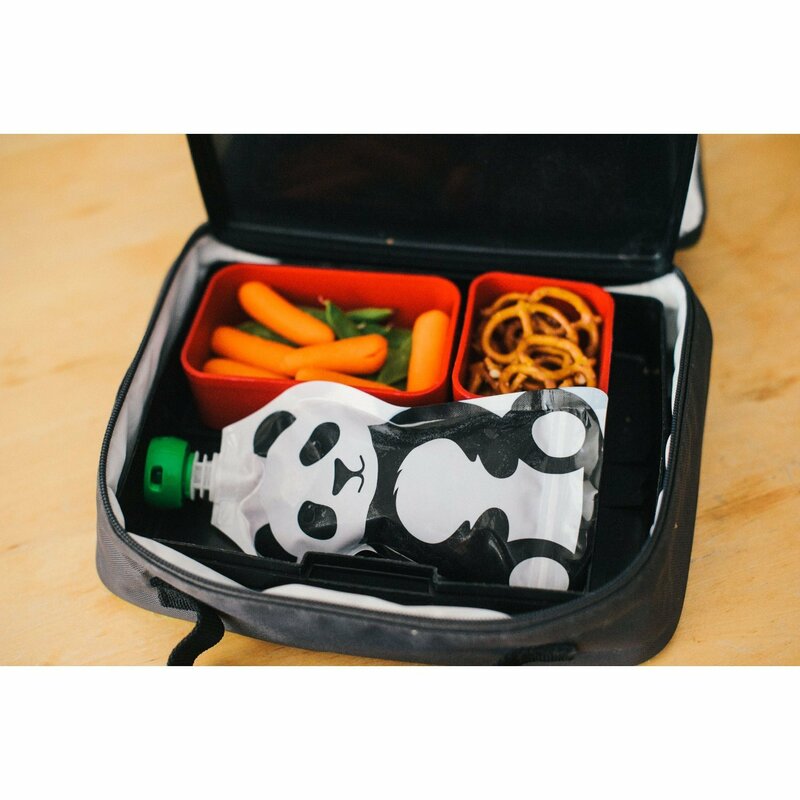 I hope this helps you in your search for the Best Reusable Food Pouch for both kids and babies. 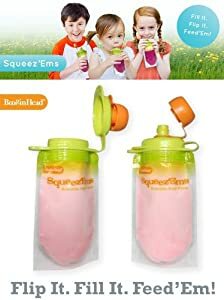 Squooshi’s Reusable Food Pouches for Babies have great ratings and I like that they have a fun graphic on them for the kids. Presentation is half the battle when it comes to food for anyone. 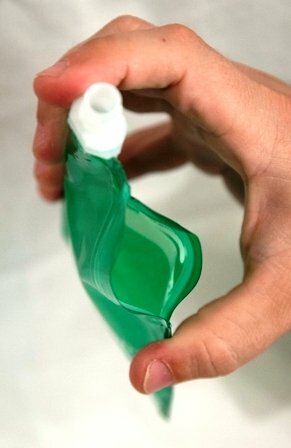 I like the fact that they have a zipper in the bottom for easy cleaning and a better way to fill them. They are dishwasher and freezer safe, which is nice if you want to make meals up ahead of time and then freeze them. 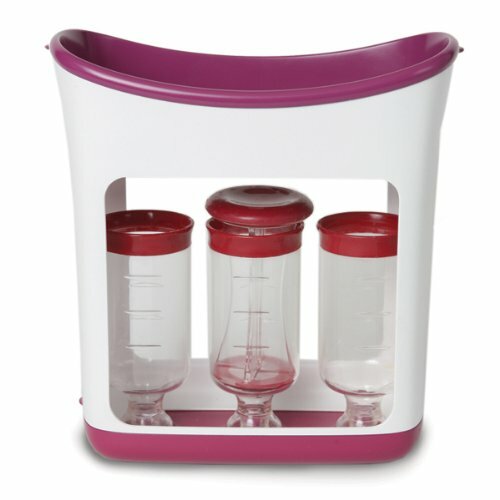 And of course, they have made sure that is is safe for the baby with BPA, PVC, Lead and Phthalate Free products. The box contains two 4.5 oz Pandas and two 4.5 ounce Walrus Pouches, so it is a great starter package. There are larger sizes available and you can always buy extras. 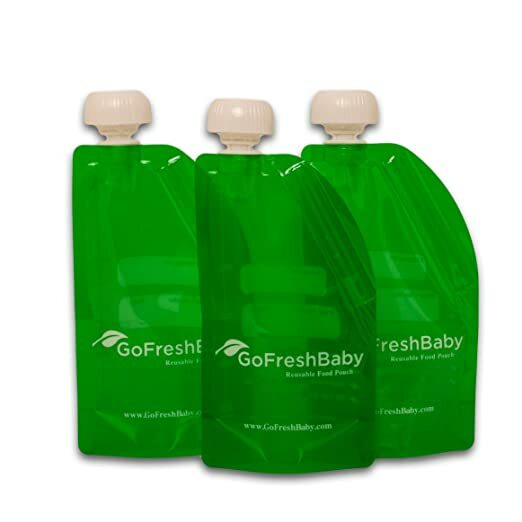 The shape of the food pouch is easy enough for a baby to hold or a young child. These are just the most amazing things. They will save you money because you aren’t wasting it on prepackaged food and if they get lost, you won’t worry because they aren’t expensive to replace. No, it’s not as cute as the last one, but I still like it. 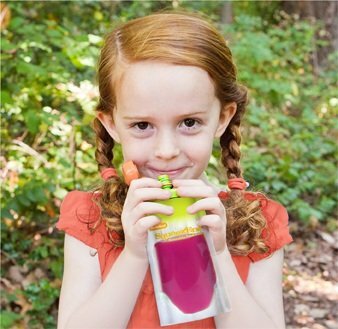 This food pouch was created by a couple that was looking for a cheaper way to feed their kids. 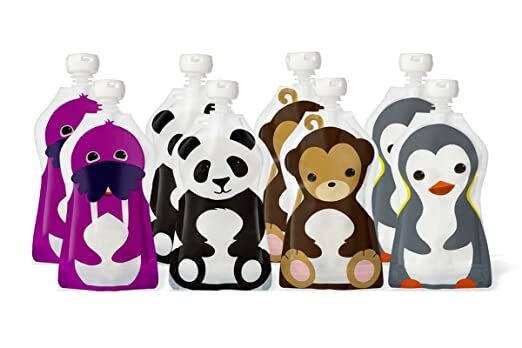 They liked the convenience of the pouches, but the cost was killing them. Plus, they didn’t know what was in them, I mean…REALLY in them. I want my grandson to have homemade food that we know what seasonings and preservatives (if any) have gone into the making of it. 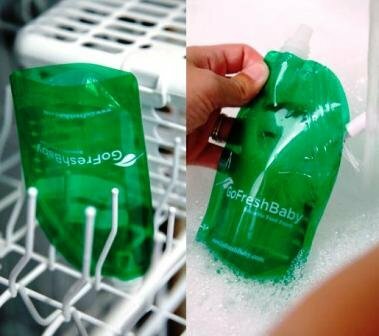 The other thing I think is ingenious is that they made the color of the reusable food pouches green. This way the kids can’t see the color of the food and turn up their noses before they try it, but the parents can see how much is in there. These parents did a great job creating a solution to a problem all parents have! I really like the way these look, but I am concerned about one thing. I have heard several say that the lid is not secure. Maybe they just didn’t do it right or maybe it was just the one they got. Either way, the lid staying on it is pretty important. So, I will try them, but I am not sure about them yet. I will keep you posted on how the lid does for us. 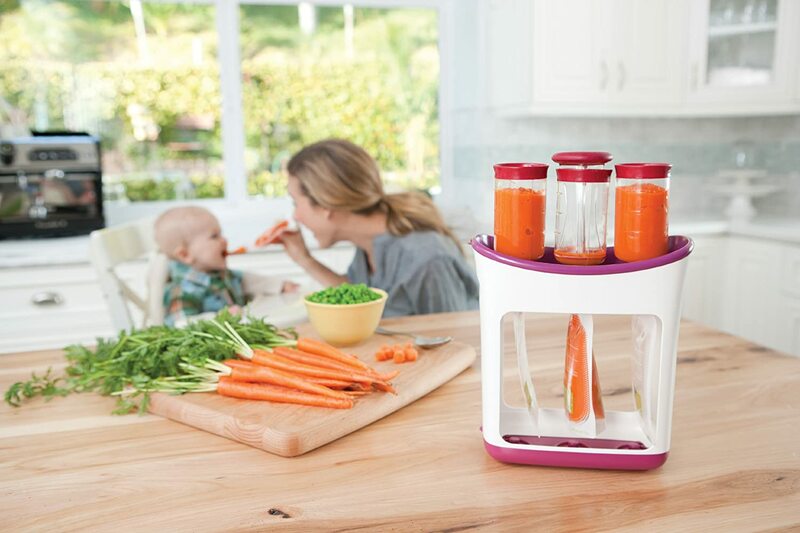 Of course they are dishwasher and freezer safe and made of the best materials for kids. No worries there. You can even put them in the microwave. Buy anywhere from 2 to 10 pouches and it is still very affordable. 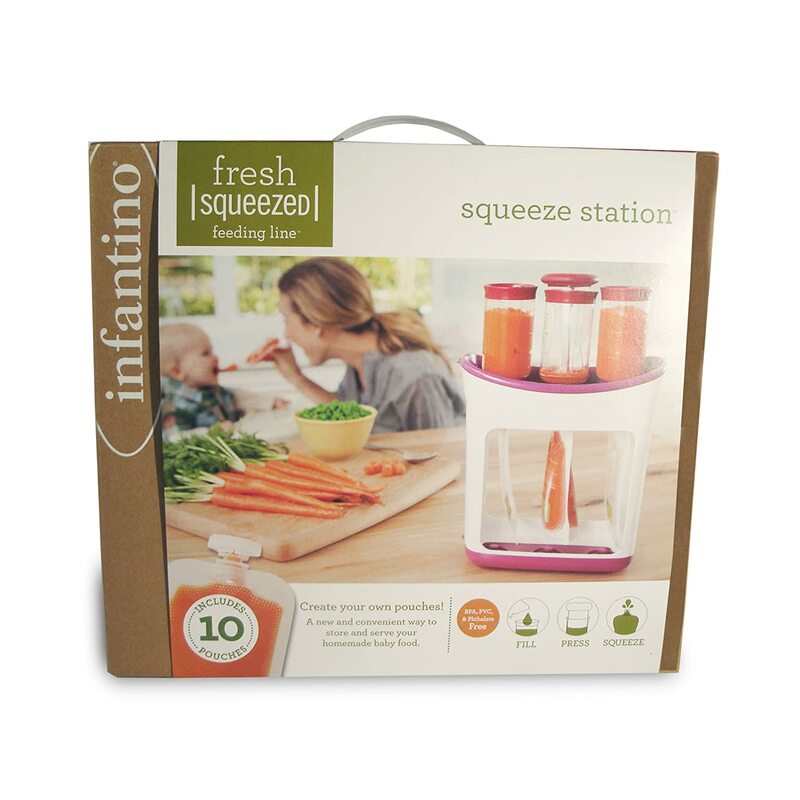 This is the most amazing baby food pouches for the mom that is organized and will make food ahead of time. 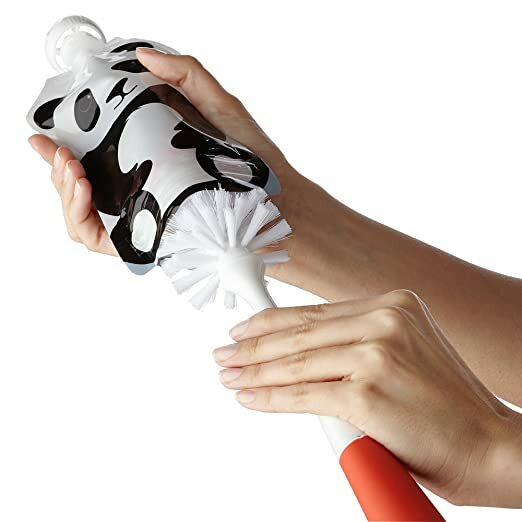 You have to watch the video; it explains how to do each step and shows how convenient this is. It really isn’t more expensive than the others that I have here. The only real difference I can see is that the pouches are not reusable. I think that is ok, unless you are really big on recycling. 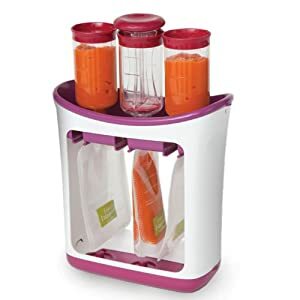 This does have a squeeze bottle that you can use instead of the pouches. Just watch the video, you will be sold like me. What did you think? 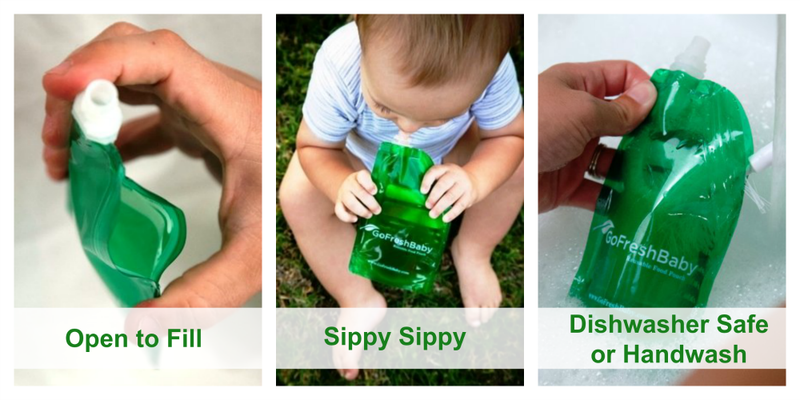 Do you think you may try some of these choices in Reusable Food Pouch For Babies? I hope I helped you find a better way to feed your baby.